Doing everything you possible can to prevent the effects of fire is very much an important issue. Obviously the most imperative thing to think about is if fire can be prevented on your premises but, after that, it’s vital to make sure that your building has the very best fire detection equipment possible. At the Safety Centre we stock an extensive range of fire safety equipment that covers a myriad of areas and includes alarms, extinguishers and safety signs. However, with wireless technologically readily available and replacing many traditional wired products such as home telephones, speakers and even video game controllers, people are looking to the benefits of wireless fire detection. And of all wireless products in the industry, you’re not going to find anything quite as important as wireless fire detection equipment from the Safety Centre. 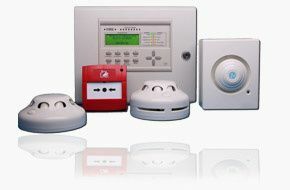 We provide a large collection to choose from with the Zerio Plus wireless fire alarm system range being amongst the most highly reviewed. Featuring a selection of various equipment options for a variety of different needs, our Zerio Plus range will have you covered for all panels, sounders, detectors, call points and beacons. A popular choice, the Zerio name has been a leader in the industry for decades and the 8 zone model is perfect for small to medium sized buildings such as offices. Being a wireless fire detection product means it brings with it many great benefits including easy installation, configuration and the ability to input different locations into the panel by using a USB keyboard. In addition, this wireless fire detector uses analogue detector functionality enabling it to minimise false alarms. If you like to know more about the fantastic Zerio Plus range, or need advice, feel free to give the leading fire alarm suppliers a call on 01200 428 410 today.